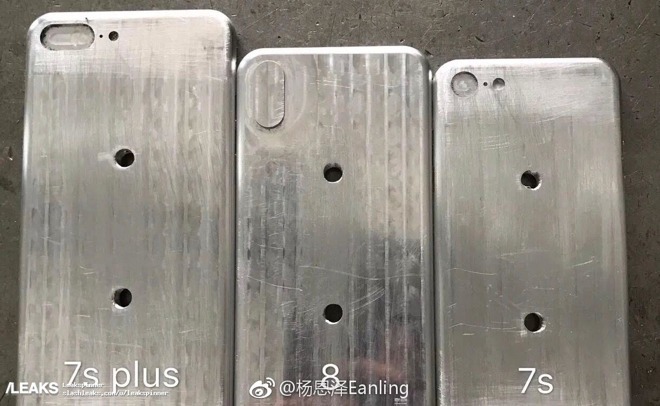 A trio of molds from China claim to show the shape and design of Apple's 2017 iPhone lineup, suggesting that the so-called "iPhone 8" may be slightly taller than the 4.7-inch "iPhone 7s," but could be considerably smaller than the "iPhone 7s Plus." The side-by-side comparison of all three handset sizes was revealed on Chinese microblogging site Weibo and highlighted Saturday by Slashleaks. The image shows handsets largely in line with expectations, incuding a cutout for two vertically stacked camera lenses on the anticipated "iPhone 8." Apple's "iPhone 8" is rumored to feature a form factor largely similar to Apple's 4.7-inch handsets, but achieve a much larger display with an edge-to-edge OLED panel. It's expected that the "iPhone 8" will arrive this fall, with a completely new design and advanced technology, along with successors to the iPhone 7 and iPhone 7 Plus models. The so-called "iPhone 7s" series is believed to stick with the same LCD displays as their predecessors, leaving OLED as an exclusive feature on the "iPhone 8." 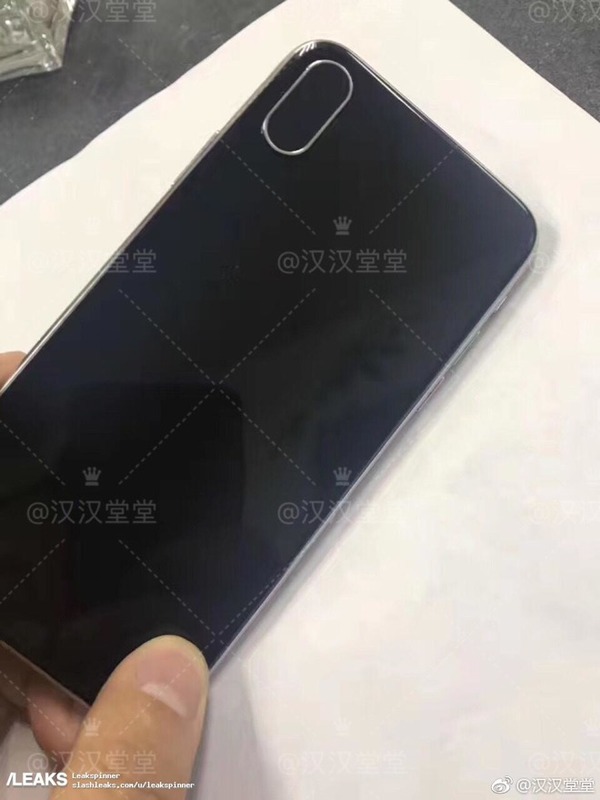 Separately, an "iPhone 8" dummy unit was also feature Saturday on Slashleaks. It shows a glossy black back with no logo or signage, but features the vertical camera array that is expected on Apple's flagship handset. Rumors have suggested the "iPhone 8" could cost upwards of $1,000 and be available in extremely limited quantities this fall. It's believed that the "iPhone 8" will stand out as a premium, flagship model with advanced capabilities, while most consumers will opt for the traditionally-priced "iPhone 7s" lineup.